"David Clinton's Factory Issued bike"
I remember the day like it was yesterday. 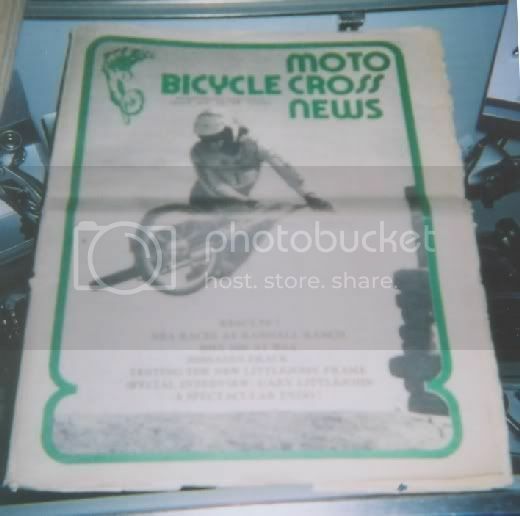 I was 13 years old waiting for the late great Tom DeRosier of Tom's Bike Shop in El Centro to open the door cause I knew the new issue of Bicycle Motocross news had arrived. I saw the cover and I freaked; there was Dave Clinton doing something so incredibly amazing that I took the issue, read about all the stuff, looked at a picture of someone named Bob Osborn racing a father's day bikes and left the shop almost forgetting to pay for the paper because I couldn't get my mind off that amazing cover. I remember that I walked about half a block were my dad worked at Womack Mitchell's Chevrolet and showed him the picture. His reply was "He crashed." We even made a bet about it and I wrote Bob Osborn at BMX news. I received a reply a few weeks later (I like to believe Oz had replied but not totally sure about it) The letter stated. "Nah. he does that thing all the time. I won my (one and only bet) from my dad. 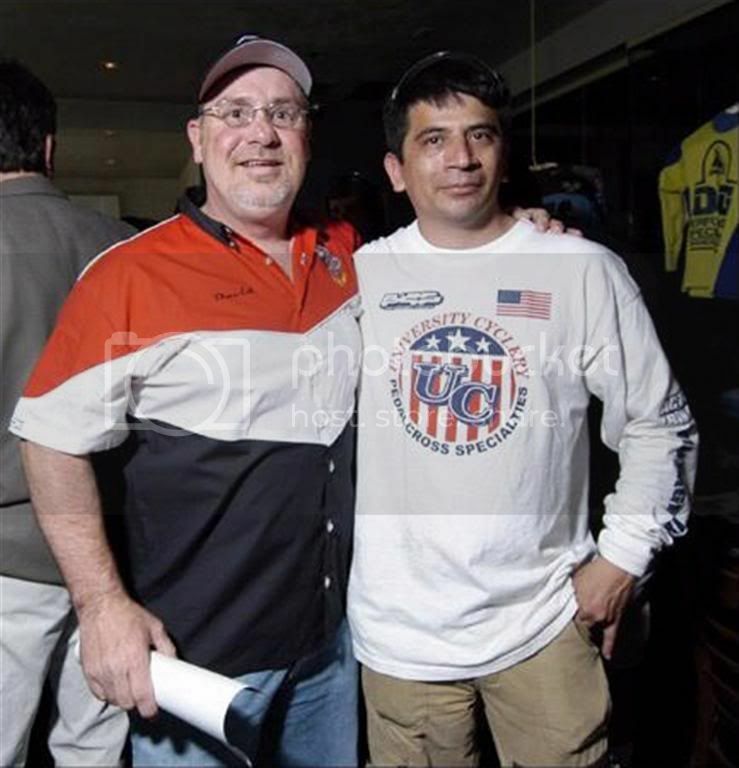 I met David at the races over the years. I respected all the well known riders, but Dave was almost a hero. I again met him at Joe Kid and we had some great conversation. Two years ago, I get a chance to "buy" the bike. I told Dave that the bike would get a pretty penny on e-bay but as much as I would like to have it, I couldn't afford to give what the bike was worth. At the same time, Bob Osborn and were talking about Dave and how we felt he was the first "true" BMX hero. I mentioned the bike and what I had told David. Without hesitation Oz says "Get the bike, I'll pay half" I tried to tell Bob that I didn't think it was right and he wouldn't get anything tangible out of it. He pretty much answered "Shut the F up, get the bike and put my name on it when you show it off"
Rick, you must be "BIG TIME" if the Great OZ told you to "Shut the F up". 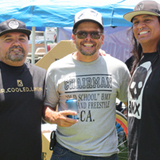 Glad to see that bike got into the hands of someone that truly cares about the history of BMX. Thanx for posting it so we can all enjoy. To have that bike with the history to go with it, WOW. Money can't buy that story...amazing. In case anyone is wondering, Dave ran motomags on downhill tracks. hahahaha ... CONGRATS !!!! Dude .. this is TRULY a tale of "Dreams Do Come True" !!! I love the old skool history and how they were ROCKIN IT back in the day on less sophisticated equipment. AWESOME STORY !!!!! Keep us posted on what you do with the bike ..shows/events. Look at the expression on the kids faces in the final image Supercool bike and history. thank you for sharing. I greatly admire your efforts to collect the BMX history that you have. Your collection is true museum quality and ultra important. You deserve much respect for your work. It mite make a few penny's on evilbay, but it is priceless in a Museum. Both Dave and his Kawi deserve much more recognition. By far the coolest bike in the museum!!!!!!!!!!!! 'NOW' 1'4' year old with !ATTITUDE! I hate bike personally but I love car. Sweet I just came up on the same frame you got. Best story I read in ages. Thanks for your pioneer spirit and commitment to the sport. Rock on man. Hello. I was surfing around and remembered a bike that my father bought from our neighbor on catherine dr clearwater florida back in around 1978ish or 79. It was This Kawasaki bike he bought me. I remember the neighbor had a drag racing motorcycle. I do not remember his name. I kelt the Bike untill I was in my late teens and sold it at a garage sale in warrenton VA .. I still have pictures of me riding a wheely on it and if I can find them I will post it here,, It was a cool bike,, I also remember my father saying back then that there were only a few made. Does anyone how many were made? Sorry for all the misspells lol..